If human rights seem a nebulous and nice-to-have ideal, then the murder and dismemberment of the Saudi journalist Jamal Khashoggi by Saudi government operatives while on foreign soil — -and the ensuing firestorm in the international media — -has helped the world understand how crucial the rights of the individual human being are in the face of state power bent to malevolent purposes. 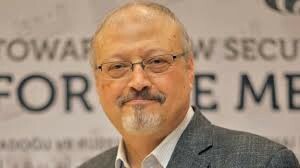 On October 2, Mr. Khashoggi — -a Saudi national living in the U.S. and writing opinion columns for The Washington Post critical of the current Saudi government — -disappeared in the Saudi consulate in Istanbul, Turkey, where he had gone to pick up documents finalizing his divorce that would enable him to marry his Turkish fiancée. Perhaps it’s this mundane errand on a to-do list — -a human being just going about his normal business, as is his natural human right — -reinforced by the endless loop of camera footage showing Mr. Khashoggi crossing the sidewalk to enter the consulate — -and to meet his death — -that has seized the world’s attention and resonated. And yet: Over 100 days later, little action has been taken by the world’s institutions against Saudi Arabia for this outrage inflicted on an innocent human being. At a time when autocrats around the world are increasing in number and power and audacity, when erstwhile democracies are turning illiberal under strongman rule, it is deeply unnerving to witness this elemental weapon in an autocrat’s arsenal — -impunity — -be moved into place. Unless forestalled, soon autocrats can literally get away with (state) murder. Sadly, the United States of America, once upon a time the Leader of the Free World and chief promoter of human rights on the international stage, has gone missing at this crucial juncture. President Donald Trump, a moral midget, takes a transactional view, insisting U.S. arms deals not be sacrificed for a killing allegedly ordered by his autocratic Saudi peer, Mohammed bin Salman (MBS) — -“Maybe he did and maybe he didn’t!” Of course, Mr. Trump exhibits certain autocratic tendencies himself, referring to “my generals” and demanding loyalty, not independence, from “my” Attorney General. Meanwhile, “his” intelligence apparatus confirms MBS ordered the killing. Also unedifying to witness: Another autocrat, Turkey’s Recep Tayyip Erdogan, metering out details of Mr. Khashoggi’s grisly killing, details acquired from his own omnipresent intelligence apparatus, and sharing them with the world, not for any humane purpose — -Erdogan regularly jails his political critics and dissident journalists — -but for geopolitical leverage in the region. For Jamal Khashoggi’s columns for The Washington Post, see here.